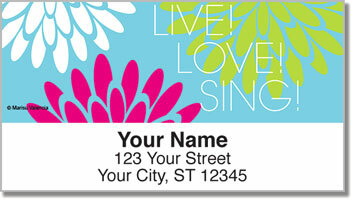 No matter who you are or where you are on life's journey, you're sure to be uplifting by these gorgeous flower designs from Marisu Valencia. 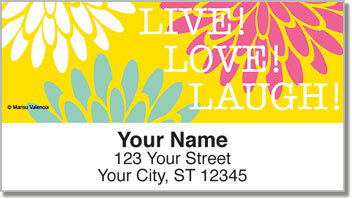 Featuring a keen eye for style and a unique color palette, these designs are inspirational, vibrant, and always positive. 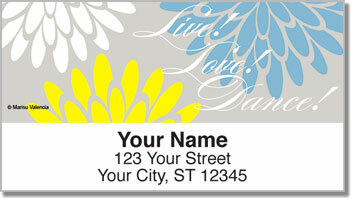 Now you can get them on our self-adhesive address labels. Save yourself from the hand cramp inducing work of filling out dozens and dozens of return addresses and bring a little happiness into the life of all who receive thse flowers in the mail. 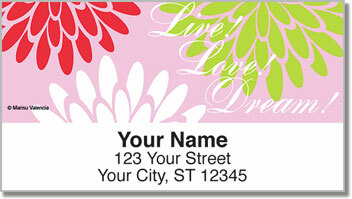 Get these gorgeous address labels today! Order now for free shipping.